Will Murad Clarifying Cleanser Give You Clear Skin? This cleanser has been a Dr. Murad staple for 20 years now. This cleanser has had the staying power on the market for so long and those brand loyal to Dr. Murad’s products swear by them. The company prides itself on devoting endless time and effort to improving their products and testing. 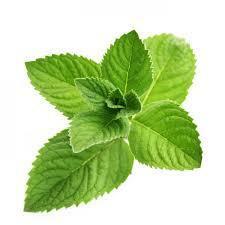 Green Tea & Menthol– Cool and soothe irritated and red skin by working as an anti-inflammatory duo. Silver Citrate- Has anti-bacterial properties that fight painful cystic acne and whitehead infections. Stops breakout causing bacteria from forming pimples. The best things about Murad’s clarifying cleanser is that it has 20 years of proof to back it up. Users are mostly happy with the results after consistent use. 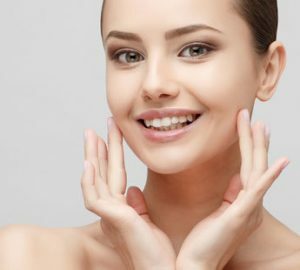 It can clear up existing break outs and keep skin clear. Everyone woman needs that one go-to product that will keep her skin in check, this is that product for a lot of faces. It has extra-strength acne medication without all of the toxic parabens and sulfates. Dr. Murad’s entire system has good reviews, the downside being that it is bit of an investment. Using the total system is so much better according to users than just using this cleanser as a one off. For lower maintenance skin that only suffers periodic breakouts this cleanser could possibly be used as a stand alone. It has a rich lather and smells good. The menthol makes skin feel really refreshed and it definitely combats that tomato-red look. It smooths out the complexion leaving skin deep cleaned. After a month of use reviews claim that their blackheads also disappeared. While this is not anti-aging I would recommend it for users ages 20-30 that just need to keep the pimples at bay. It will definitely get the job done for that. The main con and complaint is the price tag. $26 is a lot of a pretty basic cleansers with out many bells and whistles. A lot of Clearsil and other drug store products have a similar ingredient list for their products. A cheaper cleanser knock off after comparing the ingredient list might be the best solution. Dr. Murad has higher quality ingredients, but this isn’t a value buy it is a higher grade tier of skin care solutions that really should be bought in a system. Dr. Murad has designed a system that is integrative for skin care with toners and moisturizers. Don’t miss out on the total package, which have rave reviews. If you are going to purchase one, you might as well buy them all and reap the clarifying and clearing benefits.